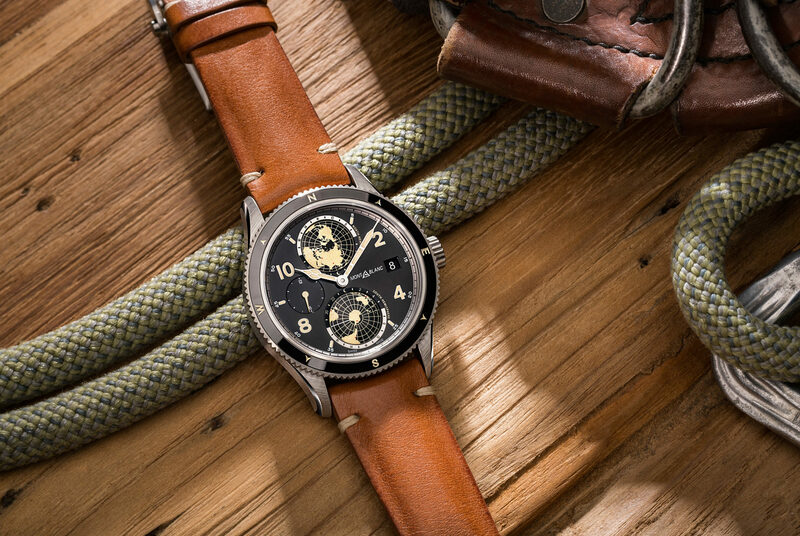 Today at the SIAR 2015 watch trade show in Mexico Montblanc debuted an all-new collection inspired by pilot watch designs from the 1930s. 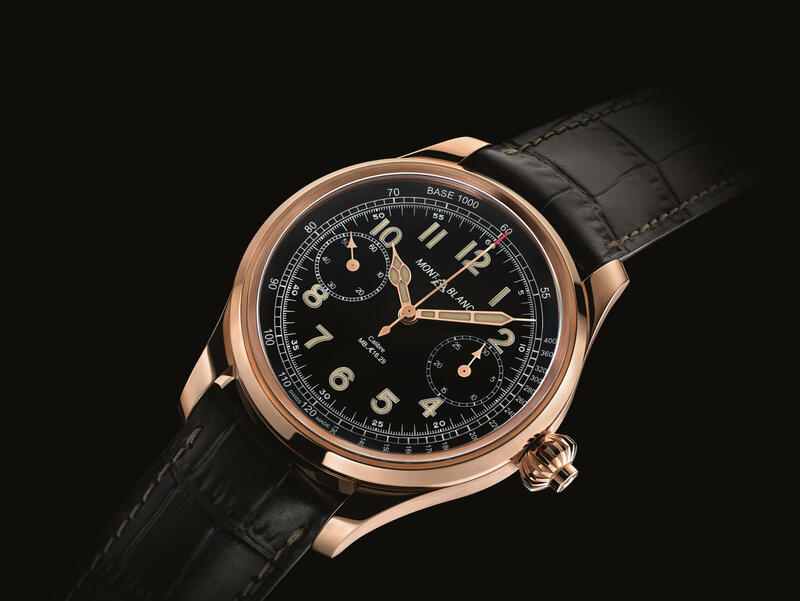 The highlight of the new collection is the Montblanc 1858 Chronograph Tachymeter Limited Edition which is powered by a movement inspired by Minerva caliber 17.29, from 1929. A polished red gold pilot style case measuring 44 mm in diameter and 13.15 mm houses the pocket watch sized movement. Like the historic model, this modern pilot watch features a bevelled winding crown with an integrated single push-piece that operates the chronograph start/stop/reset functions. The hand-wound monopusher chronograph has a column-wheel and horizontal clutch, and most notably it features the iconic engraved “V” chronograph bridge, which has been protected by Minerva since 1912. 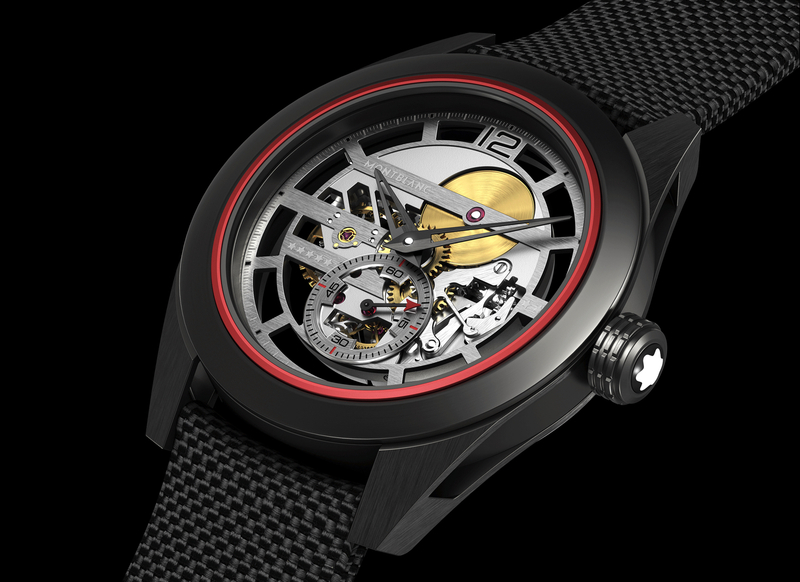 Caliber MB M16.29 beats at 2.5Hz (18,000 vph), has 252 total components, 22 jewels and a 50-hour power reserve. All of the components have Geneva ribbing with hand bevelled component edges. 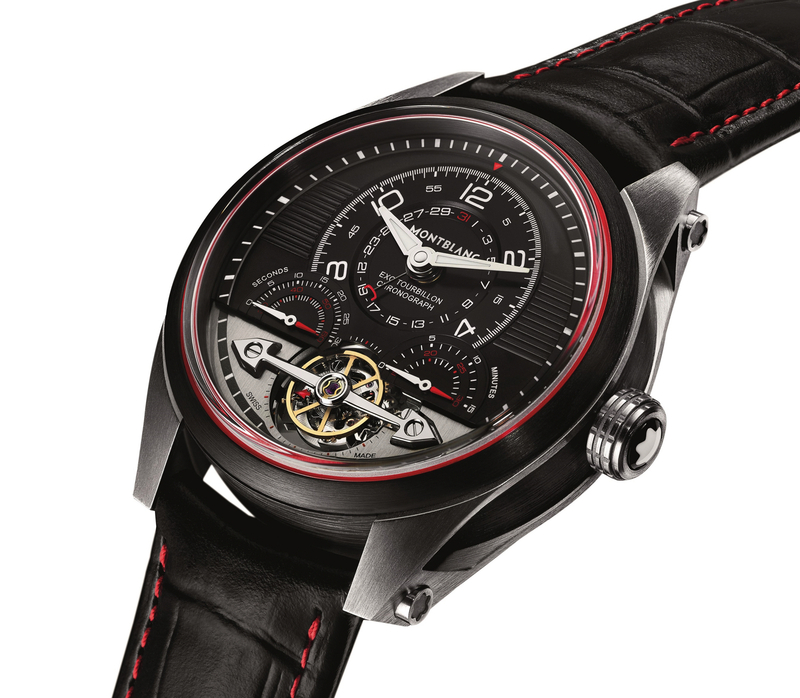 According to the manufacture, “The horizontal coupling in this classic construction is combined with a lever that holds the chronograph’s hammers and is finished off with a little arrow, the visual signature of Minerva.” The movement is assembled, adjusted and finished by hand at the prestigious Villeret manufacture (owned by Montblanc, formerly Minerva). The black dial has large printed Arabic numerals marking the hours, with the exception of 3 and 9 o’clock, which is where the 30-minute chronograph counter and small seconds are located instead, respectively. A white tachymeter scale is printed on the perimeter of the dial. Also, in white is the historic Montblanc emblem, printed at 12 o’clock. Large red gold poire squelette hour and minute hands, along with a gold baton chronograph second hand with a red tip, finish off the vintage pilot dial.